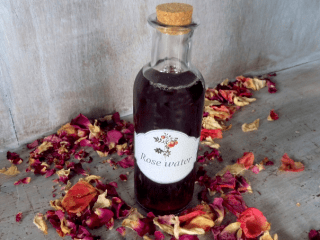 Discover revitalizing rose water benefits, its uses in cosmetic and in other areas, DIY video and easy steps how to make your own rose water. 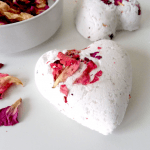 Thanks to its versatility, benefits and its fragrance rose water is suitable for the production of creams, bath bombs, soaps, hair perfumes, toners, and many other very effective products which recipes are also included. 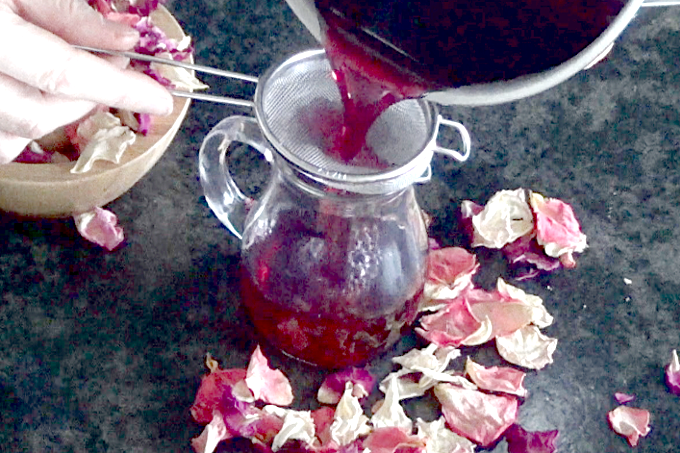 I came across to rose water for the first time when we were living in the Middle East. I have got tea flavored with rose water and I have to admit I didn’t like it. Later I tasted baklava (Lebanese cookies) flavored with rose water, ice cream and many more. And I came to the conclusion that I don’t like my food taste like roses. I have got a gift from my husband refreshing rose water for your skin. He bought it of course during his trips to the Middle East. I looked at him with a strange face like you don’t know my attitude towards rose water? And he goes try it first. All very nicely packed, I opened it, smell it and just loved it immediately. I started to use it daily just to refresh myself, destress myself and like myself more. And that’s how my journey with rose water started. Rose water is great for all skin types, from young to troublesome, over-sensitive to the already demanding older complexion. It is also suitable for fine children’s skin and for allergy sufferers. Rosewater is so widely used due to its superb smooth harmonizing effects, but also its high ability to moisturize and lightly tone the skin. Skin refresher – If you suffer from dry or eczema skin that gets unpleasant during the day, wear rose water with you and refresh it if necessary. Not only does the skin soothe, but it also gets a dose of hydration. Facial Toner -Due to the astringent properties rose water helps clean pores and tone the skin by shrinking your pores while removing residual dirt and oil from your face. Anti-aging agent – thanks to its antioxidant effects rose water neutralize the free radicals that damage our skin and help to keep the skin healthy. 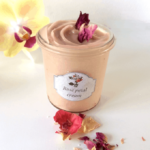 This rose cream made of rose water, rose infused oil and rose essential oil gives your skin outstanding benefits. 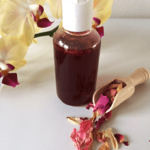 Healing agent – Thanks to great regenerative effects, rose water is suitable for the regeneration of damaged skin. You will deal with burns, abrasions, and blisters. Accelerates healing and eliminates the visibility of scars. Hydrates your skin -Rose water helps hydrate by settling into your pores and provide it with hydration. It revitalizes and moisturizes the skin giving it with that refreshed look. 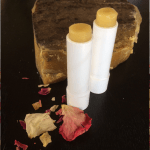 This rose lip balm with coconut oil will soothe and nourishes your lips. perfume -With a beautiful floral scent, rose water can be used as a substitute for perfume and a refreshing body spray. It will be greatly served especially during the summer months and during the hot days when the perfume is inappropriate due to its pronounced suffocating scent. Do you mix masks from dried mixes at home? Do you color your hair with henna? Then you can add the rose water instead of plain water. It boosts the positive effects of the mask, softens, turns off and strengthens the skin. The same applies when applying to hair. 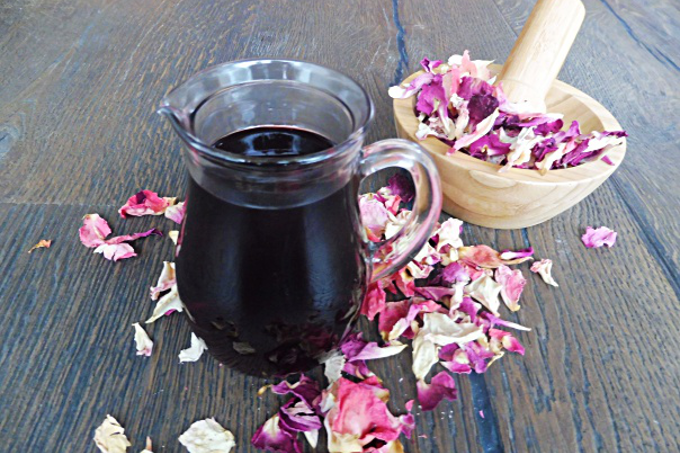 Strengthening effects do not have rose water only on the skin but also on the whole body. Pour the bottle of rose water in the refrigerator, and if you feel fatigue or even headaches, have a drink. Rosewater is a great choice for all kinds of sweet dishes. You can add it to the dough for muffins, pancakes and classic cakes. It is also suitable for puddings, sugar frosting and sweet saucesRose water can have strong antidepressant and antianxiety properties. According to this study the extract of rose petals can relax the central nervous system in mice. Rose water has antidepressant and anti-anxiety effects. fresh roses are the best if you can get them just make sure they are not sprayed with chemicals as they would end up in your rosewater. Make sure they are strong in their fragrance and color as you want your rosewater to smell of roses and have beautiful pink or red color. If you cannot get fresh roses you can get dry ones. Store the rose water in a dry, cool place. If prepared with distilled water it can last up to one month. When prepared with tap water, use a refrigerator to keep longer shelf life. If you have more rosewater than you need you can freeze it and use just one cube each time you need it. 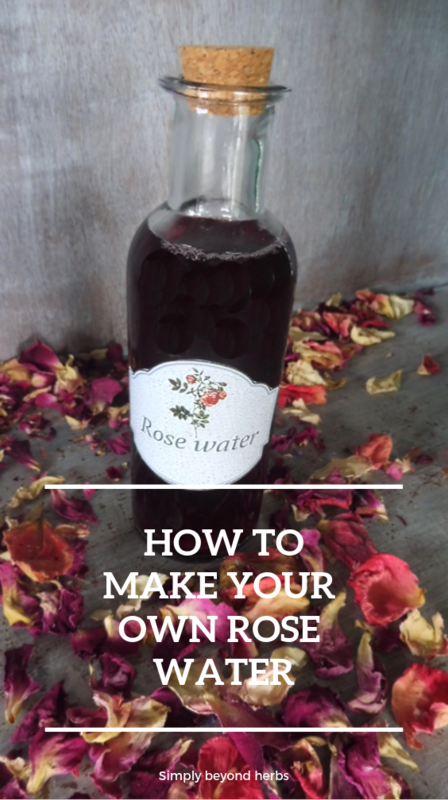 there are two methods of rosewater preparation, the hydrosol method, and the basic method. cover them with distilled water, just enough to cover the petals. More would dilute it. fill in the water into clean glass bottle/jar. Seems that you are confusing true Rosewater aka Rose hydrosol with Rose tea. Two very different things with different properties. You might want to look up how true hydrosols are made. I hadn’t considered using rose water in food. That’s interesting, thanks! Oh, fun! 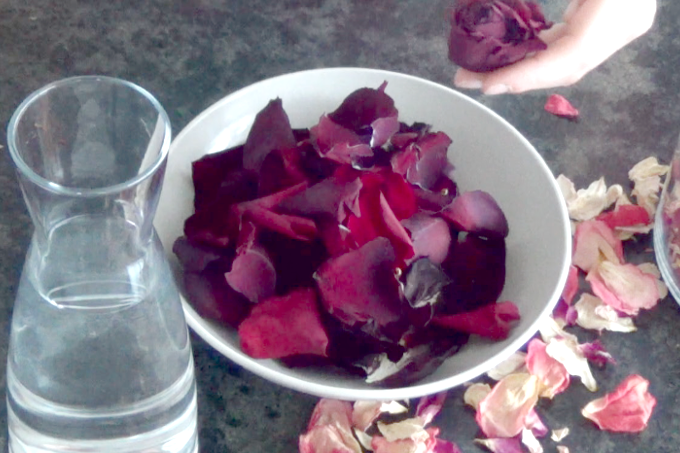 When we lived in China I discovered rose water because they love it there too! I never thought about making my own. Thanks for the info! I am also a big fan of roses and like to use them often. I am going to check your marshmallow face mask that sounds really interesting. I love the idea of storing extra by freezing it in ice cube trays! So smart! I’ll have to make a bunch this summer and freeze it so I can use it throughout the year. Thanks! I was just needing to know how to do this for a recipe I’ll be making soon – thank you! I keep stumbling across it as I dabble in Mediterranean and Indian dishes, especially sweets. This is interesting. I have heard about rose water a lot but never looked into it much. I’m going to try making some this summer when my roses are in bloom. I am also impatiently waiting for roses to be back in bloom. Have so many ideas on how to turn their medicinal properties especially on the skin into homemade remedies. Thanks for posting this. I love to find things to make from things I grow and now I need to grow roses. I cannot wait! Thanks for sharing!